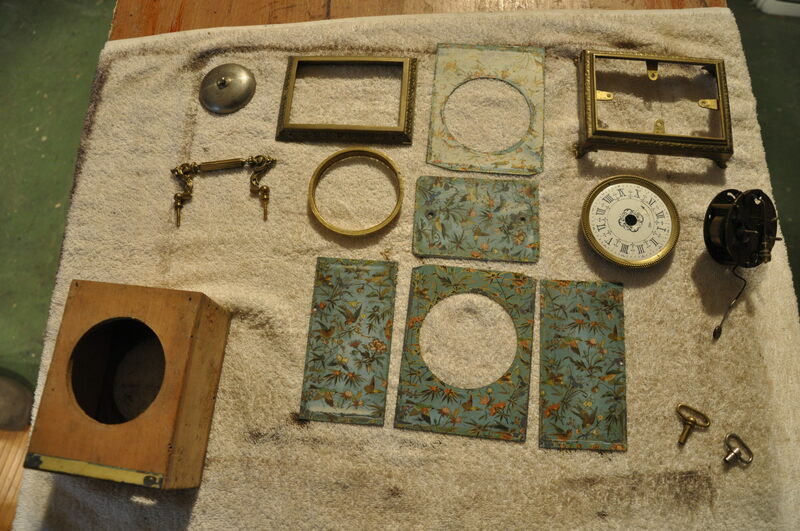 The Japy Reveil taken apart for restoration. We won’t restore the paintings. 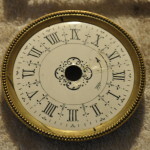 They have some scratches and probably due to sun exposition on the back and one side the color is partially gone. We decided that this is likable. 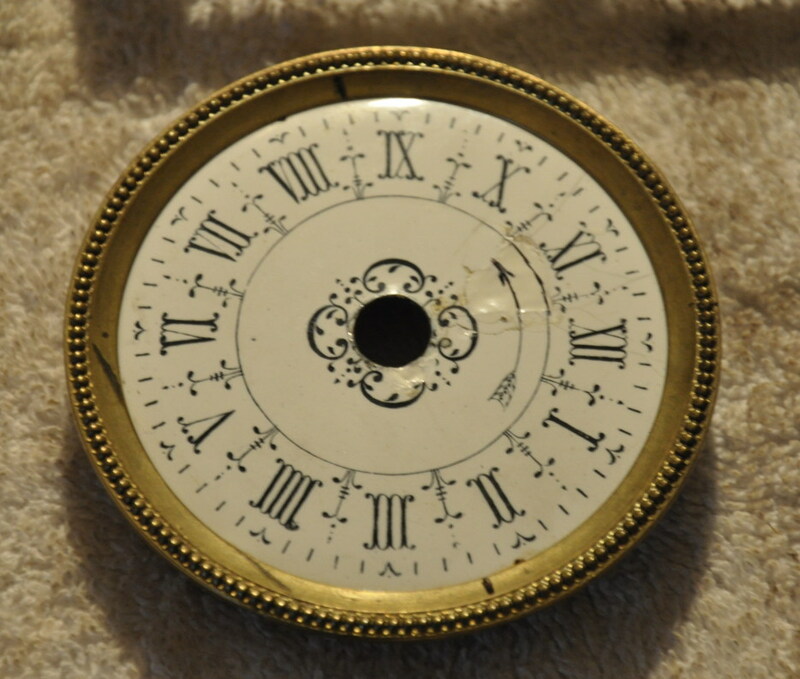 The whole in the clock face will be restored very simply. It can later be easily removed if we decide to have it done properly. The brass will be polished. The clockwork has to be cleaned and overhauled. The wooden case will we waxed. The too much widened nail and screw-holes will be stuffed again, so that the nails and screws will stay where they are. 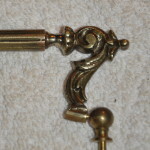 Some of the brass nails and screws have to replaced. 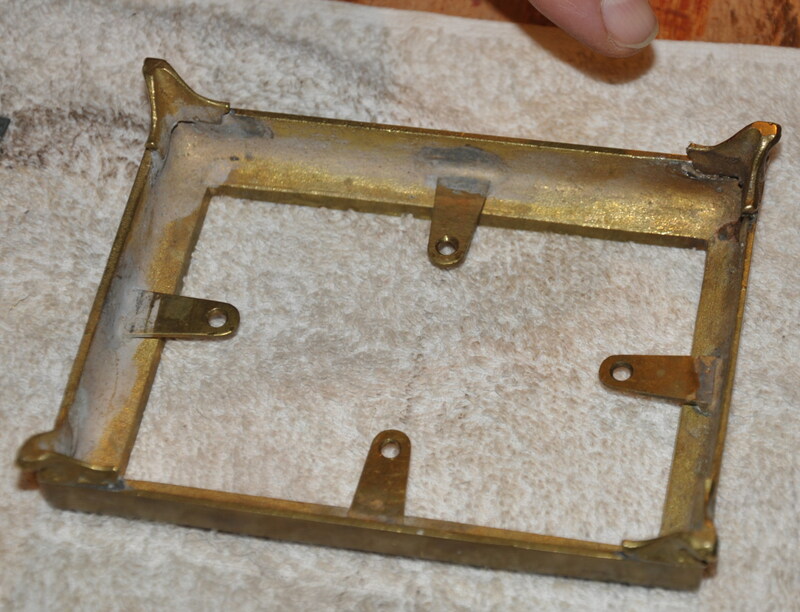 The metal bottom-plate which was added to stabilize the case won’t be needed anymore. 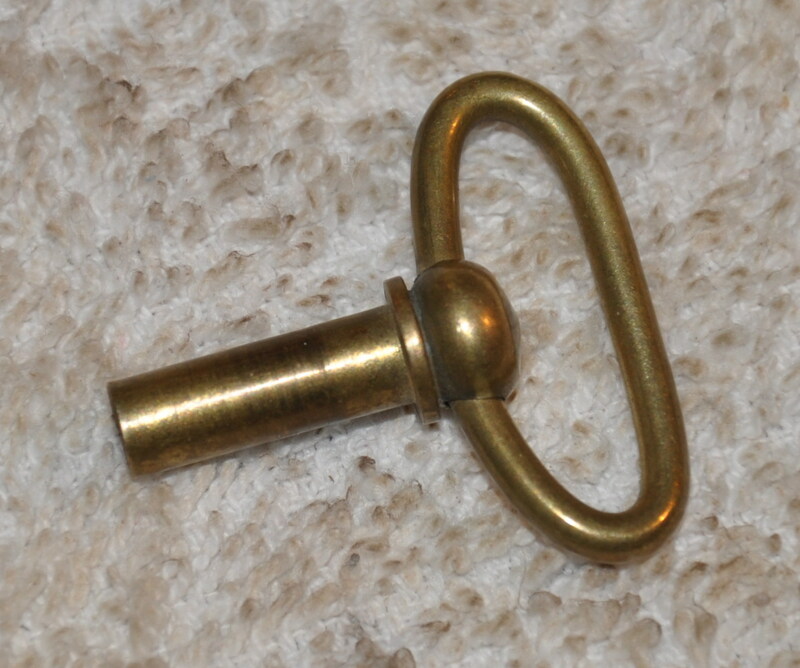 The broken handle will be fixed by inserting a small copper rod and a little bit of soldering. Here are some more images taken when my father had already started do some of the things mentioned above. 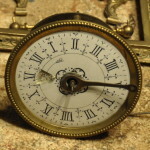 A key to wind up the clockwork. 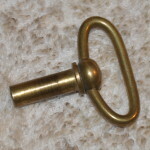 A second one is there but not in brass and not original. The stand with the broken foot fixed and soldered. 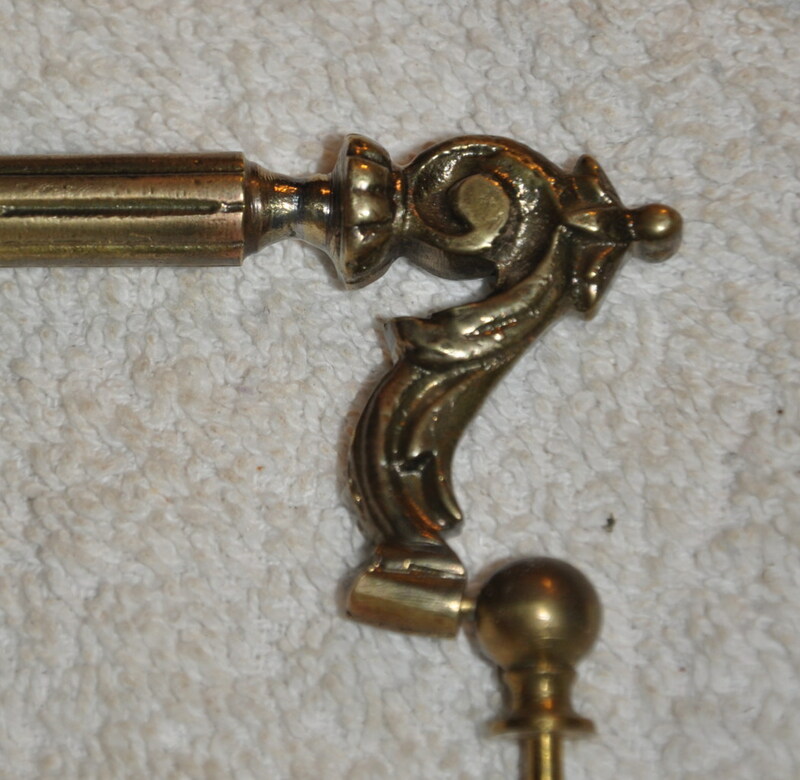 The repaired handle. 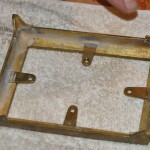 A rod has been inserted and the solder has been aligned with the brass. Almost invisible.